Thanks to its simple and accessible user experience, Arduino has been used in thousands of different projects and applications. 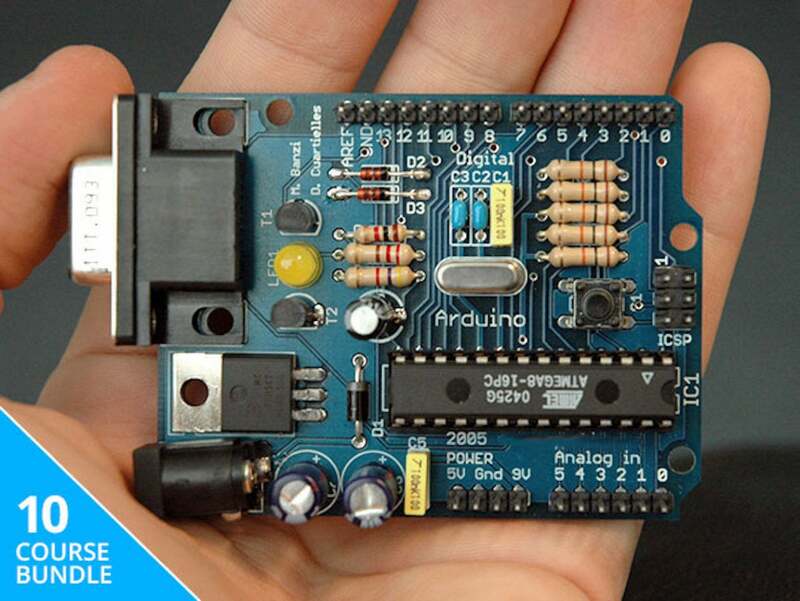 The Arduino software is easy-to-use for beginners, yet flexible enough for advanced users. The 2018 Arduino Enthusiast E-Book Bundle is a collection of 10 publications designed to teach you Arduino programming and deployment through project-based instruction. E-book titles include: Learning C for Arduino; Internet of Things with Arduino Cookbook, Arduino by Example, Arduino Robotic Projects, and much more. And right now you can get it for up to 99% off retail with the current "pay what you want" offer. The pay-what-you-want offer works like this: If your offer is less than the average price, then you'll still get to take home something great. Beat the average price and you get to download the entire 2018 Arduino Enthusiast E-Book Bundle. And, if you beat the leader's price, you'll be entered into a drawing with a chance to win a Microsoft Surface Book. More importantly, though, are the 10 complete project-based how-to's designed to help you master Arduino circuitboard programming—to create your own Arduino-based projects. For a limited time, you can pay what you want for this knowledge-packed bundle, for up to 99% off.